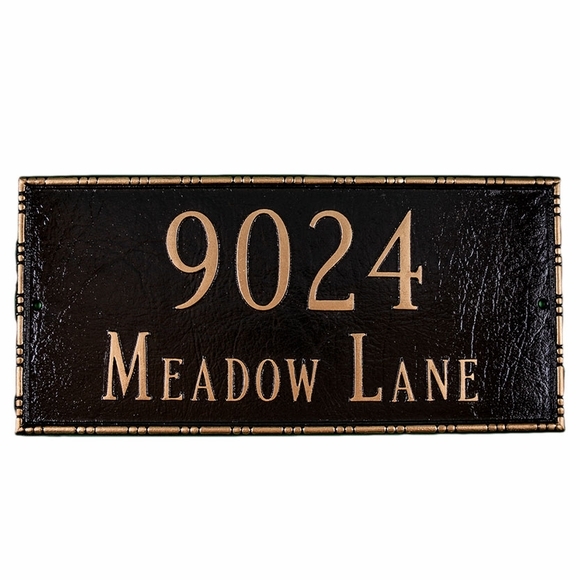 Personalized Address Plaque with Decorative Lincoln Border - - Rectangle cast aluminum address plaque holds two lines of personalization. Made in the USA. Decorative thin border repeats the color scheme. Line 1 holds up to five 3" numbers. Line 2 holds up to 17 characters (including spaces). I expected excellent work and I received it. I wouldn't hesitate to order again. I would recommend.